HEART has transformed since its inception in the Summer of 2014. Through our work, we have found that inclusive collaborative art creates a unique opportunity to build lasting relationships and create exceptional art for community enrichment. Together, we have created a loving center where people of all abilities are drawn to participate. Today HEART is proud to be leading the way for inclusion in the Charleston arts community. Inclusion in any field takes great effort and a cultural shift. I am proud of HEART's caring and talented staff and volunteers whose dedication is paramount. I am proud of the Charleston community for embracing HEART. I am grateful for the parents and their trust and support of HEART as we care for their children who have become our family. And I am most proud of the HEARTists for their accomplishments and courage. HEART has taken on a life of its own and it's exciting to see where it is taking us artistically and relationally. At HEART, we understand that working together with others and creating something meaningful for the community is a privilege. At HEART we will continue to create powerful, inclusive art that opens and engages the hearts of the community. In the end, love is the greatest art that comes from this creative family that is HEART. 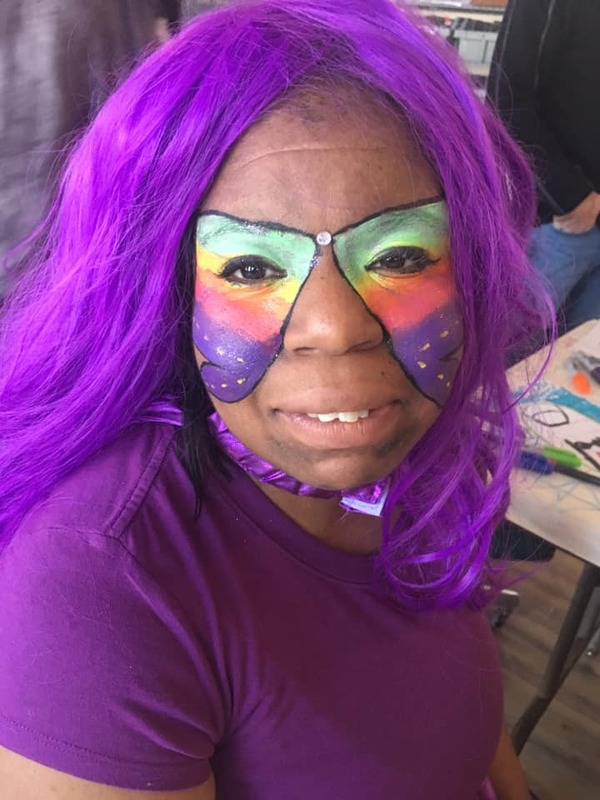 HEART - An Inclusive Arts Community provides visual arts, music, dance, and performing arts mentorships and community engagement for adults with special needs who want to grow and develop as artists. At HEART, we have created a center where artists of all abilities work together to create something that enriches the community. HEART, a 501c3 non-profit, is a creative and adventurous family of artists, performers, and all-around creative misfits! We provide inclusive music, art, dance, and theatre experiences to connect adults with special needs and their communities. Since 2014, we have helped adults with special needs experience what we all want-- freedom of expression, lasting relationships, community support, accomplishment, acceptance, higher self-esteem, and a sense of purpose and meaning. HEART is the first inclusive arts community in Charleston, SC but similar arts organizations are all over the world. Below is a sampling of some of our favorite role models. HEART is excited to introduce a new Board of Directors this year. This Board will be engaged in helping create more community support and a financially sustainable future for HEART. Hired Staff: When HEART started in the Summer of 2014, we could only afford to pay Rae Weekes as our first employee. In 2017, the Board voted to begin paying Farrah Hoffmire as Director of HEART. In 2018, it was time we hired more staff and we were very fortunate to have Quenby Keisler, Marisa Drake, and Mel Walker join the HEART team after being longtime dedicated volunteers. HEARTist Pay: $1570 went to the HEARTists in 2018 as we started paying HEARTists 50% of the sales of their collaborative work. Grants: HEART wrote a grant to help facilitate a partnership with Redux Contemporary Arts Center. The Medical Society of South Carolina (MSSC) awarded HEART a $15,000 grant whereby $10,000 went to Redux Contemporary Art Center for rental cost of their classroom space and $5,000 went towards our Artist Mentor's salary. Luke 14 Banquet / Night to Shine Prom (February): This event, hosted by organizations all over the world on the same date and sponsored by The Tim Tebow Foundation, it is a night for people with special needs to come together and dance, eat, and be treated like royalty. Seacoast Church hosts this event in Charleston and has invited HEART to perform for the past 3 years. Catch the Leprechaun 5K (March): A charity run whereby HEART and Racers for Pacers has been chosen as recipients for the past two years receiving 50% of donations raised. In 2018, HEART received $3,000 and had a table at the event selling our artwork, promoting our shows, and signing up potential volunteers. Incluza-Palooza (April): HEART was invited to participate at College of Charleston's third annual event-- Incluza-Palooza which brings together local performers and activists to inspire discussion about diversity, inclusion, and social awareness, and to promote various methods of community engagement. 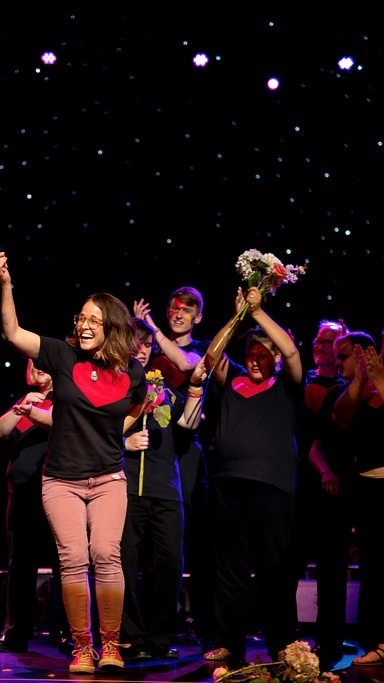 Piccolo Spoleto (June): HEART performed its original musical, HEART Radio Lab: Love Frequency 2018, to more than 500 people in attendance at Charleston Music Hall. We were proud to host more than 75 group home residents and their caregivers from the surrounding areas at the show. We raised over $20,000 in sponsorships, donations, ticket, and art sales. Rebranding: Our true identity was realized as an inclusive arts community and our logo got a makeover. We love the umbrella as a symbol for inclusion and the supportive space HEART provides for artists of all abilities. Summer Camp (October): HEART started its very own camp at Camp Rockmont in Black Mountain, NC. We found a cabin that sleeps up to 33 people and we all get to stay together under one roof. It was also possible to pay the staff that works at the camp, and buy and cook all of our meals. Camp is now more like a family vacation! STAR Workshop Show @ BoomTown (November): HEART debuted our original musical comedy, STAR - Super Talented Actor’s Rasslin’. We sold more than 250 tickets and raised more than $3,000 in ticket & art sales. Cookies & Karaoke (December): HEART hosted a holiday party open to the public and had a blast! This event inspired us to finally get Open Mic dates on the calendar. We'll host these every quarter in an effort to socialize and connect with the community. Inclusive Open Mic Nights: Starting in April, HEART will host quarterly open mic nights for artists of all abilities to share their unique voice in whatever medium they choose. It's an opportunity to open our doors to the community and share our safe and encouraging HEART center with others. Summer Wednesdays at HEART (June 5-July 31): HEART will open its doors in the summer on Wednesdays to transitioning high school students and other adults with special needs (including current HEART members). The goal is to allow for new members to join HEART on Tuesdays and Thursdays year-round. Potential HEARTists must show a benefit from engaging in the arts, an interest in the arts, and a willingness to do new things. A Place to Call Home: HEART is grateful to be downtown for less than $1,500 a month. Our lease at Asbury St James United Methodist Church runs out in the Summer of 2020 and though we have an option to renew we want to find a space that allows us the freedom to make changes and upgrades to fit our organizations needs. We hope to find a space that supports our growth and community engagement. We are exploring and weighing all of our options. We believe the best way for us to express our immense gratitude to all of our HEART funders, supporters and constituents is to demonstrate that we are responsibly managing the operations and financial resources in which we have been entrusted. This includes board oversight of all our major financials decisions, expense efficiency, as well as providing complete transparency into how we earn and deploy our finite financial resources. HEART Program Services revenue consists primarily of membership fees from families of HEARTists. But we only report “net revenue” in Program Services, which means that financial aid is not included in either our revenue or expense disclosure. Yet we believe that the financial aid is an important metric, and is deserving of some additional color. In 2018, HEART established a more formalized scholarship application process to determine need. Our goal is to never turn away anyone who has the desire but not the financial resources to participate. In 2018, we provided scholarships to 8 HEARTists, varying in size, but totaling over $19,000. HEART is seeking additional grants, donors and sponsorships in 2019 to continue to pursue our scholarship goals. These grants and contributions address a very real need, and have a direct and measurable impact on our HEARTists, their families and our overall community. Our total revenue was almost $135,000 in 2018, a 46% increase from 2017. We are very proud of the growth this has enabled in expanding our HEART community and programs. Our total revenue was almost $135,000 in 2018, a 46% increase from 2017. We are very proud of the growth this has enabled in expanding our HEART community and programs. While all revenue categories increased somewhat, the largest increase came from our community outreach in Donations and Campaigns. In addition, we received a grant in January 2019 from MSSC in the amount of $20,000 to help fund the addition of a second transport van as our HEART community expands. We work hard to keep our G&A expense low, and at 5.6% of total spending, we believe we met that objective. When it comes to our expense efficiency, we think our track record speaks for itself. In 2018, we put 100% of our revenue to use. Yes, we ran a $8,000 deficit for the year, which ate into our modest nest egg a bit, so we will continue to actively pursue new and repeat funding sources for 2019. As we grew in 2018, it became apparent that we needed to staff appropriately, and the biggest area of expense growth was in salaries as we brought on dedicated employees. We would note that our employees are not in it for the money, and their salaries reflect that ideal. Yet sustainability requires some commitment to providing modest support for living. In terms of expense efficiency, we believe we are at the top of performance for non-profit organizations. While many non-profits spend astronomical sums in areas such as marketing and direct mail solicitations, virtually all of our modest marketing is related to promoting our events, which pay for themselves. We also work hard to keep our G&A expense low, and at 5.7% of total spending, we believe we met that objective. Our continued objective is to focus our spending on where we can have the biggest impact – growing our HEART community and the programming to support HEARTists in realizing their growth potential.